In this companion novel following the Oregon Book Award-winning Blue Thread, Ruth Tenzer Feldman once again weaves a tale full of history, culture, and fantasy. Hope Friis has struggled with a severe stutter her entire life. As the 1960s Free Speech Movement gains ground in her hometown of Berkeley, California, Hope embarks on a journey back in time--guided by her time-traveling ancestor, Serakh--to the city of Paris, circa 1099 A.D. Her mission: to save the newborn son of the young woman, Dolcette, and find the courage to become a young woman of strength and conviction. 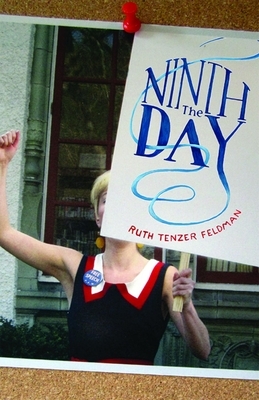 Ruth Tenzer Feldman is the author of numerous nonfiction books for children and young adults, including The Fall of Constantinople, How Congress Works, and Don't Whistle in School: The History of America's Public Schools. She holds degrees in both law and international relations, and has spent time working as a legislative attorney for the U.S. Department of Education. She lives in Portland, Oregon, where she is a member of the League of Women Voters, the Oregon Historical Society, and the Institute for Judaic Studies. Her first novel, Blue Thread, was published in 2012 and is a finalist for the Oregon Book Award in Young Adult Literature.